Bitter gourd has many qualities. This clean the blood and it is very beneficial for diabetic patients. It is also beneficial for asthmatics and stomach patients. Control Carotene: Bitter gourd is used as natural steroid. It has carotene chemical. The consumption of bitter gourd controls sugar level in body. Bitter gourd has oleic acid glucoside that has ability to not allow sugar to dissolve in the blood. Nutrition: Bitter gourd collects sugar together and flows directly into the bloodstream. This helps in breaking down the body without increasing the sugar level. Bitter gourd balances the level of sugar therefore body gets more nutrients. Bitter gourd contains copper, vitamin B, unsaturated fatty acid. 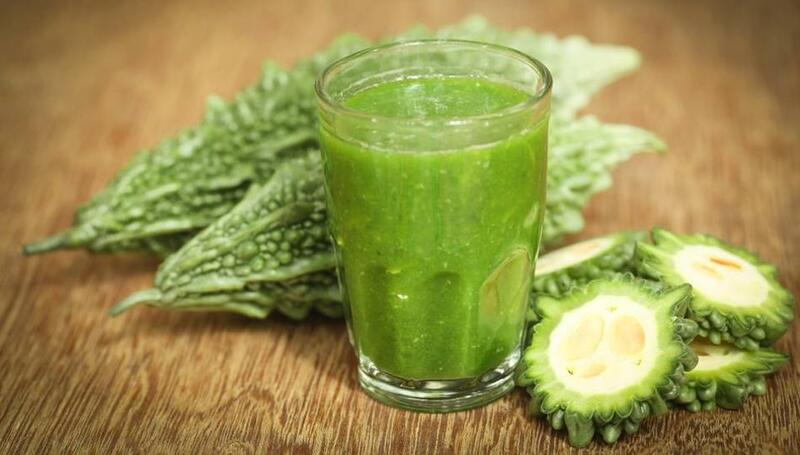 It cleans the blood and keeps kidney and liver healthy. Liver: Poor eating habits affect the liver. It creates many types of health problems. To avoid such problems and to keep the liver healthy, daily drink only one glass of bitter gourd juice. Immune System: There are many elements present in bitter gourd, increasing body's immunity power. Drinking bitter gourd in boiling water is very beneficial. It increases immunity. It is beneficial to consume it by adding water and black salt in bitter gourd juice. Cough, Asthma & Paralysis: Bitter gourd is very beneficial in cough. In addition, bitter gourd without spices is beneficial in asthma. Bitter gourd gives relief in gas or indigestion. Bitter gourd juice is beneficial in paralysis and jaundice.